Gamers sure can be a really hard to please demographic when it comes to a lot of things. But audio capture quality does not usually figure high among the priorities of the average gamer. When we talk about the best microphones for gamers, we are usually looking at devices that offer an improvement on the horrible audio quality that many headphone mics these days deliver. As long as the mic can get your voice across to your teammates and co-op players effectively, the average gamer is a happy camper. Even those gamers who do live-streaming and YouTube video recording can get by with less than stellar audio quality. But they are definitely the only group of gamers who might actually benefit from a studio quality microphone. Audio Quality: sure, you do not need the audio equipment that money can buy if you are a gamer. But quality is often the main reason for a gamer to seek a new microphone. You are probably here because of the atrocious performance of the mic attached to your headsets. So quality is definitely a key factor. Price: Now, not everyone has deep pockets and unlimited budgets. And high quality audio equipment is not exactly cheap. But do you know what else is not cheap? High quality gaming hardware, especially those GTX and R9 graphics cards. In a pinch, a gamer can and will find better ways to spend their money than expensive gaming microphones. So, price is definitely a huge factor when choosing the best gaming microphones in the marketplace. Form Factor/Ease of Use: When you are engrossed in the virtual arena, you certainly can do without unnecessary distractions. Most of the microphones on our list are either standing mics or lavalier/lapel mics. You don’t want a big, clunky standing mic taking up acres of space on an already cluttered workstation. And you definitely don’t want a lapel/attached mic to stick out due to its bulk or design. The best gaming microphones should ideally be easy to use and move around and above all discreet. Looks: this is not so much an issue with attached mics, though it can matter to some. For a standing microphone, looks can be an important factor since recorded videos will probably feature it prominently. SO you might want a good looking design if you are a streamer or video uploader. Samson Meteor USB Studio Microphone 16-bit, 44.1/48kHz resolution. Let us start off our list with the cheapest and simplest model available. This is the only entrant in our list whose list price is under 10 bucks. If you are on the lookout for a decently performing mic at rock bottom price, you cant do better than the Zalman ZM. It certainly wont provide top of the line audio fidelity, but you will still be pleasantly surprised by the audio quality. And even at around $10, you can bet on this little mic to provide better audio quality than the built in-mics in most headphones out there. But this is no USB microphone, since it attaches to a headphone cord. And if you expect to use your gaming microphone in a noise or crowded area, steer clear of this model since it has the tendency to pick up a fair bit of ambient noise. But for a cheap upgrade on your existing headphone mic for general gaming, you cant do better than the ZM Mic1, even with its issues. Now, this microphone will slot somewhere in the other end of the price and performance spectrum. 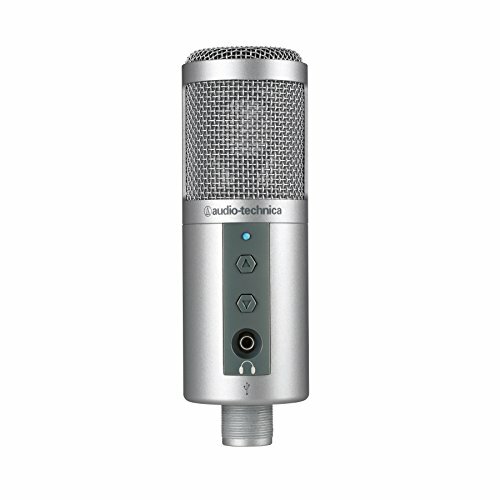 A standalone microphone, the Seiren Pro offers awesome looks and even better performance, but at a very steep price. If you are not averse to spending a couple of hundred bucks on a cool looking mic capable of giving you studio level performance, the Seiren Pro Series is a good buy for you. This is a product geared more towards liver streaming and YouTube video recording. It has simple plug and play USB as well as XLR cable. If you are serious about the vocal quality in your recordings, the Seiren has excellent ambient noise cancellation. A great option for those willing spend some money. This is not one of those lapel mics, or one of those bigger standalone mics that conspicuously take up space on your table. 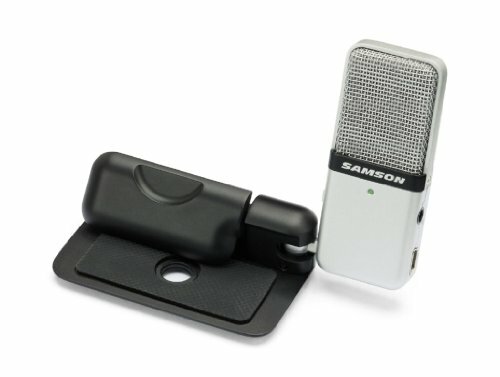 The Samson Go Mic is an ultra-compact design which can snugly clip on to your laptop or sit primly on your table. It provides professional audio recording at levels better than what many stick recorders provide. And at the lower end of the price range, it offers remarkable value for money. It has switchable pickup patterns for different recording situations. 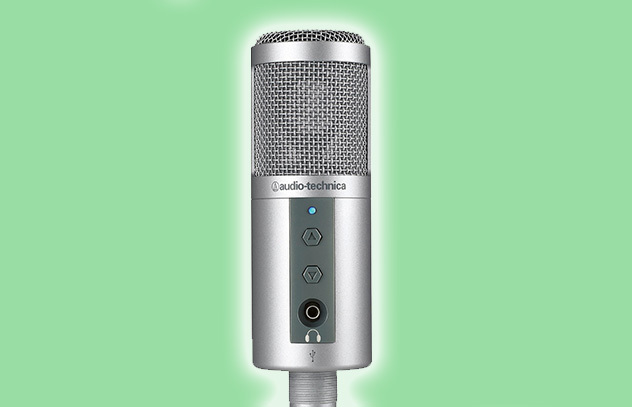 The ATR series from Audio-Technica has quite a few models in their line-up, but the 2500 has been around for quite a while and still finds a dedicated fan following among audiophiles and youtubers. This is a mic focused more on live-streaming and podcasts rather than pure gaming. That makes sense, considering the fact that it is a quite large standing mic with a tripod in tow. It is reasonably priced and provides decent audio performance for the price. There is a good reason why this list features not one but two products with the name Blue on it. They make seriously good microphones with all the bells and whistles attached, but at very reasonable prices. That is a combination that most gamers would find too good to pass up. The Snowball is the cheaper option from Blue in our list, but it still has some excellent features. The sleek and compact tripod set is easy to set up and takes minimal space. It has switchable recording patterns, and plug and play USB support. And there is a wide variety of vibrant colors to choose from, which makes it stand out from the rest. This is a very popular option for gamers. the ModMic is a series of attachable mics aimed at gamers and recorders looking for a more compact option that doesn’t take up any space on their workspace. 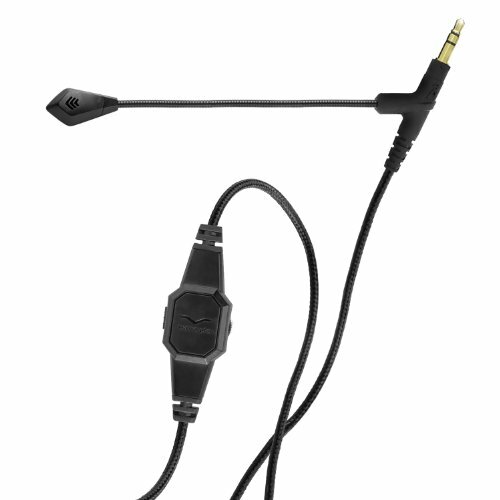 As such, this lapel mic offers a comfortable gaming experience when paired with your favorite set of headphones. Do take note that this set doesn’t have USB functionality. You will need to attach it to your headphones. It has omni-directional feature and a convenient mute switch. It offers great sound quality at a very affordable price point. Another attachable microphone for gamers looking for a good upgrade from their headset mics, ECM CS10 offers acceptable performance at the low end of the price range. Its incredibly compact and unobtrusive form factor works in its favor, you will barely notice it sticking out of your lapel/collar. And with omnidirectional recording, you get excellent clarity ideal for the informal banter during long gaming sessions. 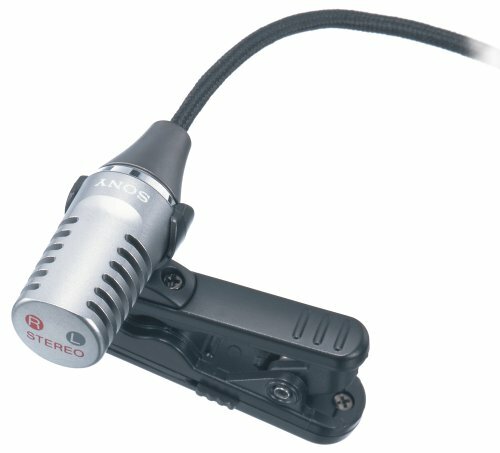 If you are looking for a mic for live streaming, you will probably find much better options out there. But for gaming, this is a solid budget option from the reliable Sony brand. This incredibly cheap detachable boom mic is guaranteed to work with most of the popular gaming headsets out there. And it does provide a serious performance update on the usually lackluster performance that most headsets saddle us with. This is one of the cheapest attachable mic options in our list, save probably the Zalman. It is very popular among gamers and for good reason too. If you have a decent headset, you can make it even better with the BoomPro. If we didn’t include this second entry from Samson, there is a high chance that somebody would comment about its exclusion. That is how popular these mics from Samson are! 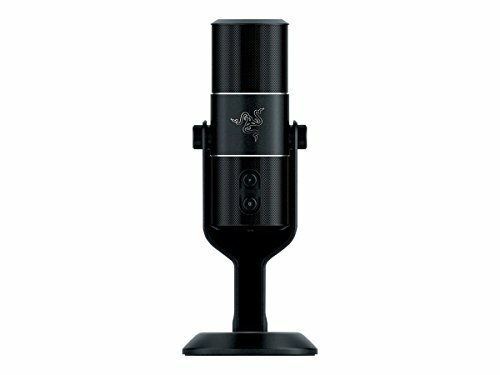 This is another great recording mic for gamers looking to stream their gaming experience or upload let’s play videos to YouTube. Though not as compact as the Go Mic, if you can find the space for it the Meteor will reward you with professional grade audio fidelity. We probably saved the best for the last with this one here. 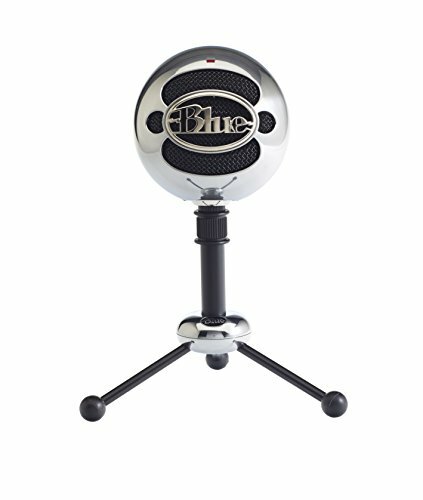 The Blue Yeti is one of the best selling microphones in the market and for good reason. With three condensers (most other mics make do with two or less), you get better audio quality than many other mics out there. And it also features advanced options like gain, zero-latency and mute, not to mention four polar patterns to choose from. With a sturdy build quality and decent looks, it will not stick out like a sore thumb should you choose to record videos with it in the center. Yeti offers a nice compromise between price and performance. Depending on how you plan to use your mic, there are numerous good options in the crowded audio recorder marketplace. If you are exclusively into gaming, a cheap attachable lapel/boom mic should do the trick just fine. 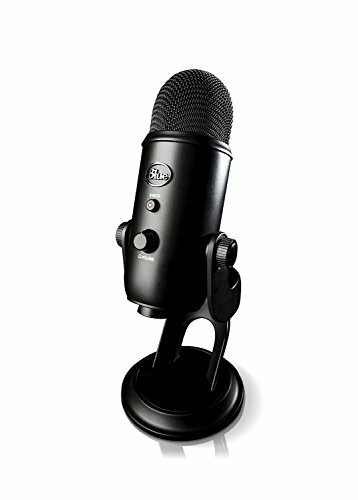 For those more into recording and uploading let’s play videos and such, a more advanced standalone microphone with USB plug and play function would be ideal. Whatever be your preference and budget, there are excellent options in our shortlist of the best gaming microphone for just about every kind of gamer out there.